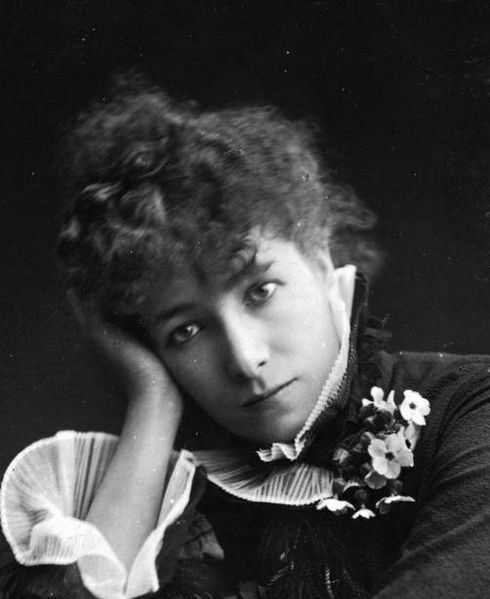 Hopkins Theatre-in-English Workshop: Sarah Bernhardt (1844-1923) "The Art of the Theatre"
Sarah Bernhardt (1844-1923) "The Art of the Theatre"
"If the actor retains his mode of living, of thinking and of behaving throughout the manifold characters that he successively impersonates, he cannot feel the passions of these characters; and, unless he can enter into the feelings of his heroes, however violent they may be, however cruel and vindictive they may seem, he will never be anything but a bad actor. Coldness will be his portion, and not the impetuous ardor which carries away an audience and which is the hallmark of genius. If he does not really feel the anguish of the betrayed lover or of the dishonored father, if he does not temporarily escape from the dullness of his existence in order to throw himself wholeheartedly into the most acute crisies, he will move nobody. How can he convince another of his emotion, of the sincerity of his passions, if he is unable to convince himself to the point of actually becoming the character that he has to impersonate?" Although Sarah speaks from her own vast experience, she does so in the context of the historical period that influenced her life. We believe that acting should and must include a strong dosis of mental control over the emotions. Otherwise, except for very talented persons such as Sarah Bernhardt, the danger is to fall into psychological role play. The mind must act as the actor's guide; his body and voice the tools of his/her trade.